(WACO) – During last year’s Independence Day festivities, Danielle Woodard was on Lake Waco watching the fireworks put on by Ridgewood Country Club. By this year’s Fourth of July, Woodard, 42, was the country club’s new director of communications. A 2016 graduate of Texas State Technical College’s Visual Communication Technology program, she began the job in early June. After graduation she had stints at First Woodway Baptist Church, the Waco Tribune-Herald and in retail before learning from TSTC instructors about the open position at the country club. “I never even saw a job posting,” Woodard said. 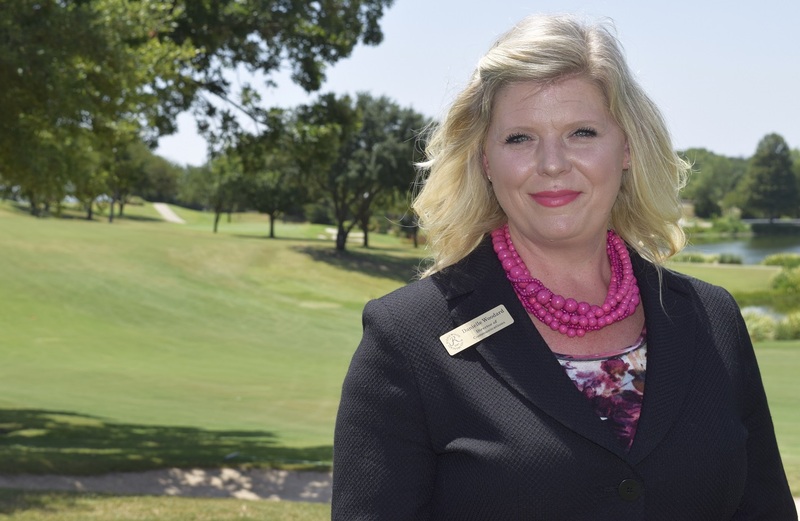 She is the country club’s first communications director. Some of the work she has done so far include building its social media presence and designing and editing the country club’s bimonthly publication, The Rambler. She also works on internal communications about the country club’s special activities for all ages, including golf tournaments and an annual member appreciation event. She said the country club is member-owned, so they do not use traditional advertising methods. The country club has more than 1,000 members. Woodard graduated in 1994 from Midway High School and studied marketing for three years at The University of Texas at Austin. Before her scheduled graduation, she moved to California. She later moved to Seattle, then returned to Texas in 2006. She did online classes and found they were expensive. She visited TSTC and learned that some credits from her previous college experiences could be transferred. She started classes at TSTC in 2014. “It felt like coming home and where I belonged,” Woodard said. Jennifer Piper, a TSTC Visual Communication Technology instructor, said Woodard was a dream student. TSTC offers the Associate of Applied Science degree in Visual Communication Technology, which includes classes in art direction, digital imaging, digital publishing and other topics. This entry was posted in Waco on July 22, 2018 by Daniel Perry.